Contact Frontier Basement Systems to request a free quote. Our crawl space sealing and insulating treatments improve home comfort and energy efficiency during the winter and all year round. A complete system. Our patented CleanSpace® crawl space products are designed to work together, providing complete sealing, insulating & moisture control. Call us or visit our Free Estimate page to schedule an inspection and quote for crawl space winterization. 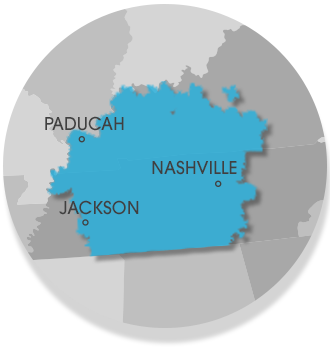 We provide a wide range of crawl space repair solutions to homeowners in Jackson, Nashville, Clarksville and many areas of Tennessee and Kentucky.